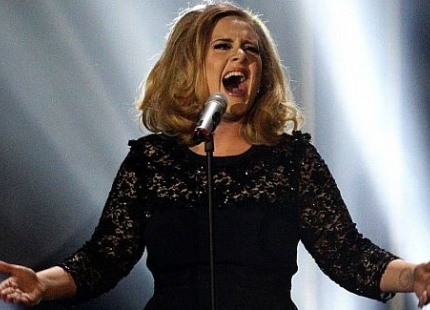 Adele Chosen To Record The Next James Bond Song But Turns Them Down?!? The award winning superstar recorded the title track for 2012 movie ‘Skyfall’, and while many behind the scenes of the upcoming 24th film in the British spy saga are keen for her to sing the next song, she’s refusing to commit just yet. If Adele accepted the offer, she would become the first singer to record more than one Bond theme since Shirley Bassey, who performed ‘Goldfinger’, ‘Diamonds Are Forever’ and ‘Moonraker’. Adele could have competition though, with British rockers Biffy Clyro throwing their name in the hat and admitting they would “love” to write a track for one of 007′s adventures. Frontman Simon Neil recently said: “Biffy for Bond, yes – I will follow you to the ends of the earth, sir. I’d love that. “I think we’ve got a couple of songs in our back catalogue that could have suited but that is most songwriters’ dream, isn’t it, to write for Bond? “You get given the key it has to be in, I believe, and certain motifs … It’s such a dramatic theme that I think it would really suit us. Nigeria immigration service recuitment. For job processing and assistance contact 09034389104.